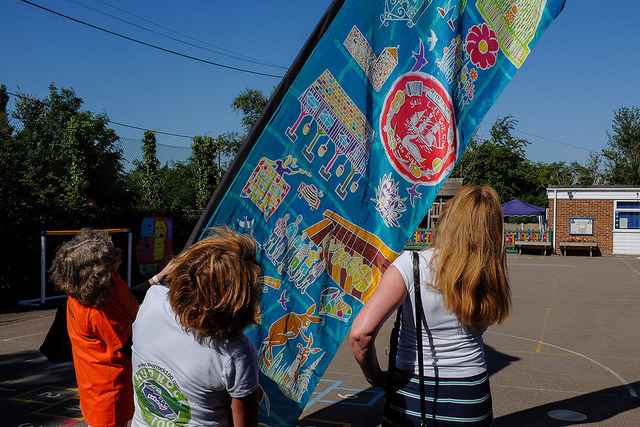 Just as we know that walking makes you feel better and improves your health, we also know that people who take part in some form of creative activity have a greater sense of wellbeing than those who do not. 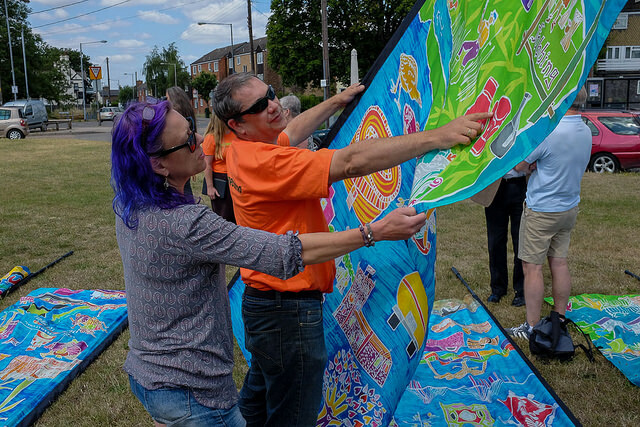 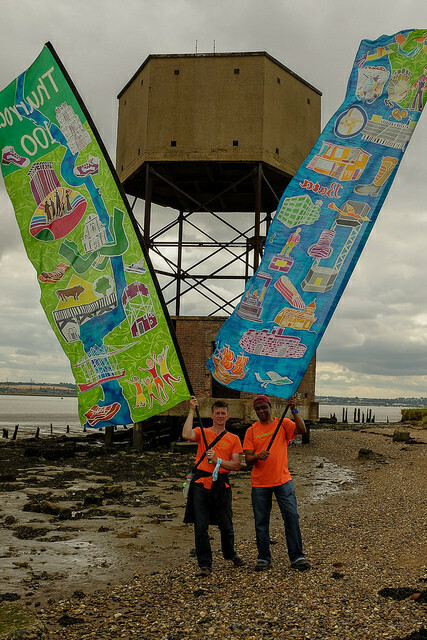 Thanks to a grant from Arts Council England, artist Ali Pretty was able to work with more than 300 local schoolchildren from 9 Thurrock schools, and with more than 50 creative adults from all over the borough, to make 10 new Thurrock 100 flags. 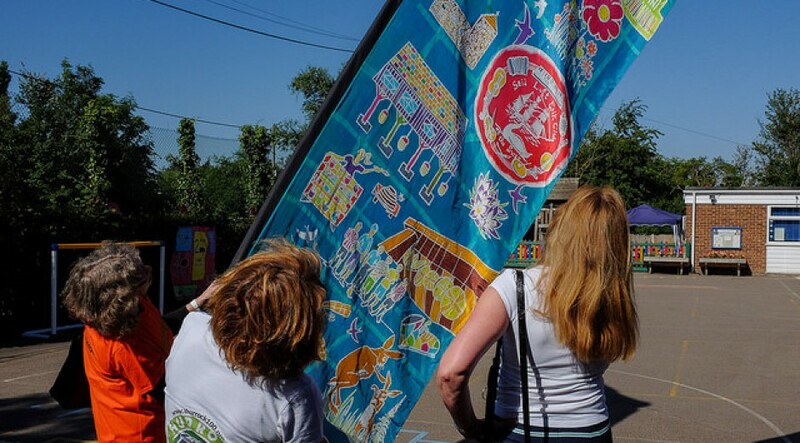 Each of the beautiful batik flags is 4m high, and made of silk painted in jewel-bright dyes and featuring places of interest around each area, so that each flag became a kind of map to or visual story about the area. 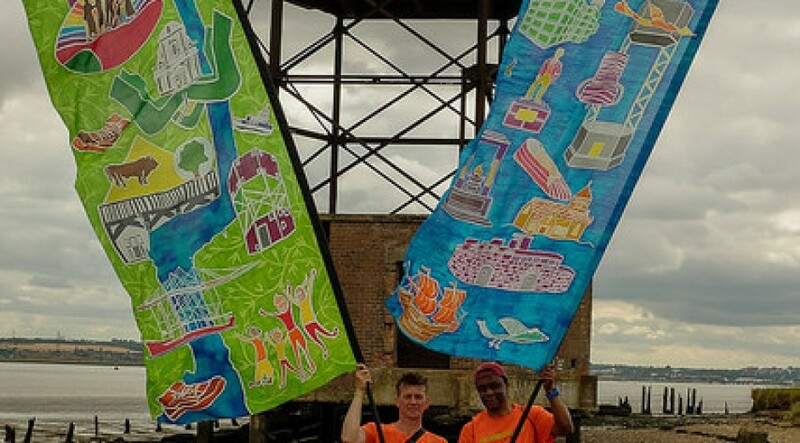 The flags were carried, like Olympic torches, on each walk. 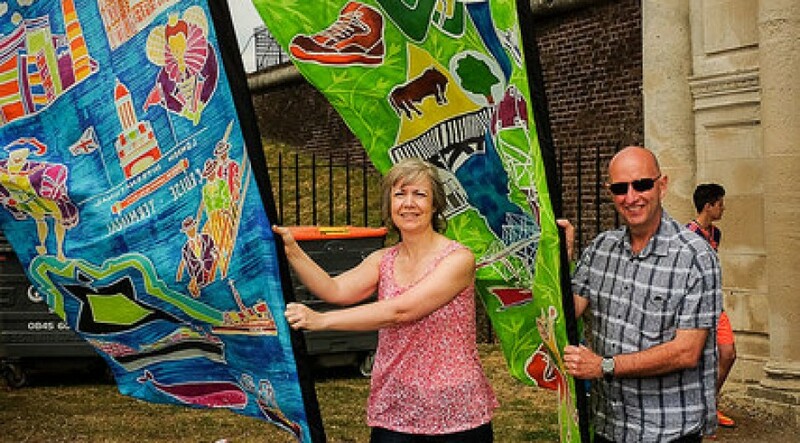 100% of participants who responded to our survey said they enjoyed taking part in a creative activity, 100% said they enjoyed working with other people, 93.7% were proud of the finished flag and 94% said they would like to make another flag in future. 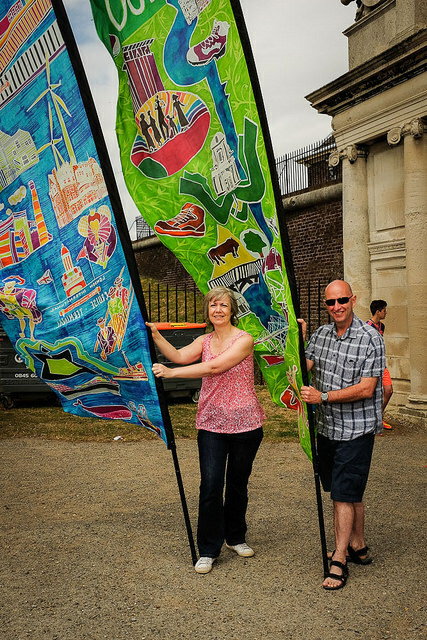 The flags are now a resource to be used by the communities that made them. 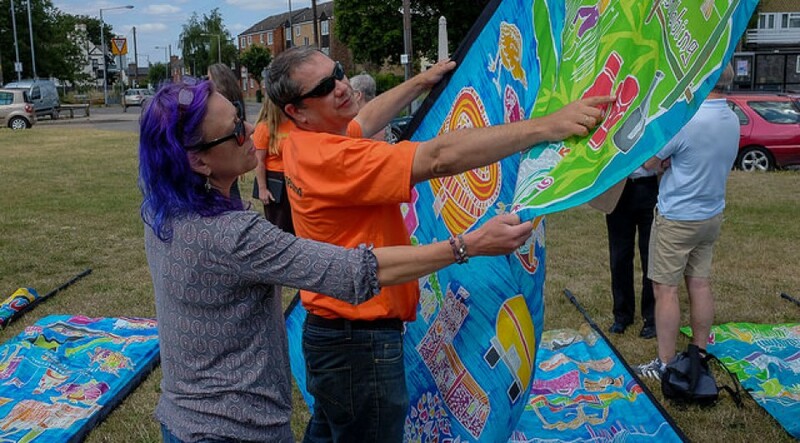 If you’re holding an event and would like to borrow ‘your’ flag, please let us know.